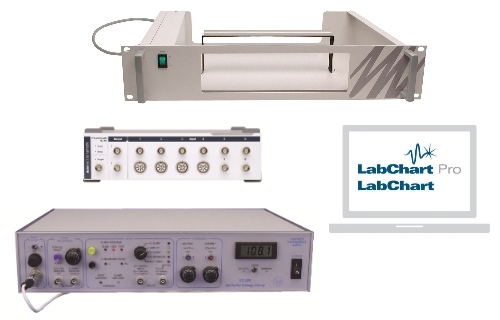 Thank you for your interest in Epithelial Voltage Clamp Systems. Please complete and submit the form below and an ADInstruments representative will aim to get in touch within one working day. If you’d like to speak to someone immediately, office contact information is available from the contact page. A system for measuring epithelial transport signals simultaneously from two epithelial samples (tissue or cell layer). System includes the Dual Channel Epithelial Voltage Clamp (50 V compliance). A system for measuring epithelial transport signals from a single epithelial sample (tissue or cell layer). System includes the Epithelial Voltage Clamp (120 V compliance). 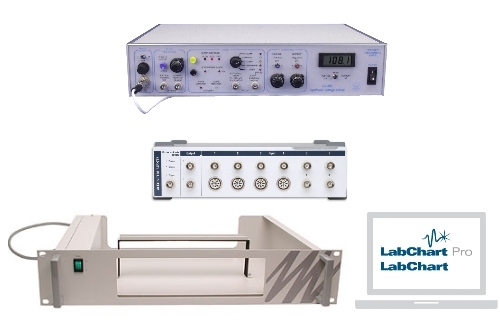 The Epithelial Voltage Clamp (120 V) OR the Dual Channel Epithelial Voltage Clamp (50 V), depending on the system purchased. Differential voltage recordings are made with very high common mode rejection (CMR) providing accurate measurements free from the effects of common mode potential changes of a noisy environment. Membrane Resistance Measurement Circuit using a low frequency 2 Hz bipolar signal to avoid polarization of the membrane (ideal for monolayers). 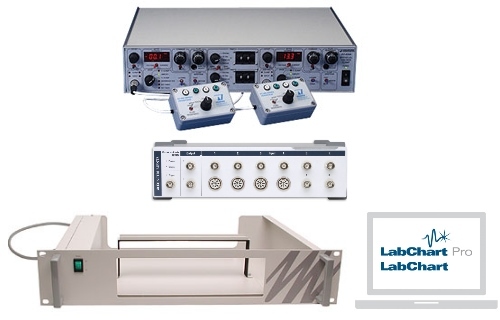 Three Clamp Speeds selection provide optimum recording conditions for a variety of applications, such as Fast mode (as fast as 10 µsec) for preparations with low access resistance (small tissues or monolayers) and Medium or Slow modes for stable, oscillation free clamping in larger tissues. Operating modes include voltage clamp, current clamp, voltmeter, and resistance. Independent Voltage and Current Commands. The clamp can be operated by an external programmer, lab timer or computer - logic control of clamp mode and clamp command levels is possible as well as simultaneous mixing of external linear commands. When ordering please specify the following: Mains Power (V) = 115 for 110-115 V or 220 for 220-240 V.